It'd been awhile since Apple had rolled out a new iMac design — and now we know why. 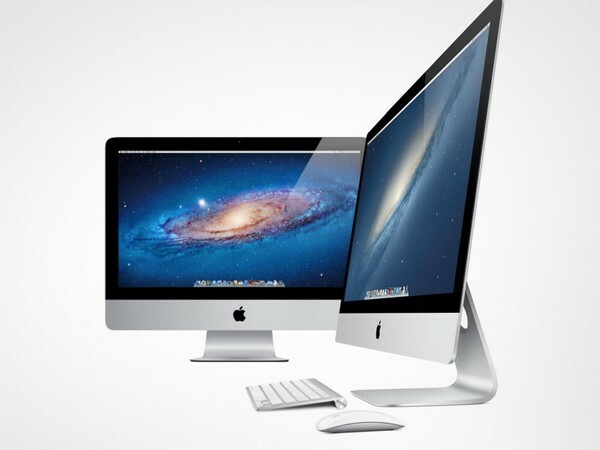 The all-new Apple iMac 2012 ($1,300-$2,000) features an updated design that's just 5mm thin at the corners and is 40% smaller by volume than its predecessors. It's powered by quad-core Intel Core i5 processors, boasts a completely reengineered display that reduces reflections by 75%. It can hold up to 32GB of RAM and can be configured with the new Fusion Drive storage option that combines 128GB of flash memory with a 1TB or 3TB hard drive to offer most of the speed of an SSD with the vast storage of a standard hard drive. The 21.5-inch model is coming in November, while those wanting the 27-inch model will be waiting 'til December.